Georgia Tongs in Action. Photos: Supplied. At the height of her reign as the Australian Ladies Single Champion, Miriam Manzano was one of the biggest names in Canberra sport. These days, the six times national champion is known as Miriam Manzano-Hammond. Her focus is now on developing the next generation of ACT figure skaters. Eighteen-year-old Georgia Tongs is one of her protégés. She wasn’t around when Miriam dominated the sport nationally but she has seen plenty of video footage. Like many great sports stories, the union between Georgia and Miriam came about by chance. Georgia’s mother, Adele, worked with Miriam in the public service and as a result of conversations, Adele decided that skating could be a good sport for her young daughter. After Georgia spent many dedicated years on the ice, Miriam became her coach. Georgia Tongs, with her coach, six times national figure skating champion, Mariam Manzano-Hammond. Georgia, with a background in calisthenics, quickly adapted to figure skating with the choreography involving jumping, spinning and steps. 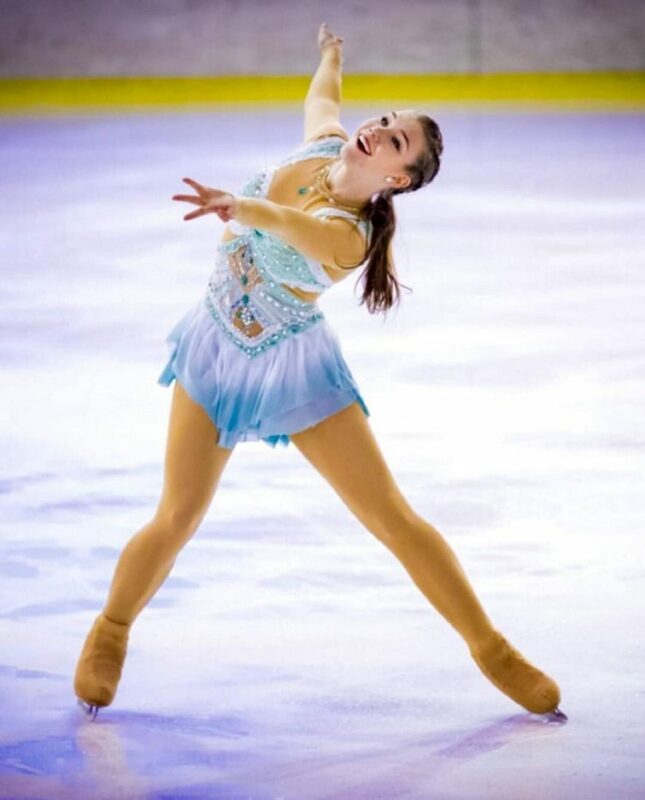 This union has led to Georgia winning a place to compete in her first international competition, the Bavarian Open in Germany in the junior short and free skate programs. Georgia says she is hoping to do well in the biggest competition of her life. She has spent many hours visualising skating in Oberstdorf, Germany, when she finally gets on the ice in February. To be eligible, Georgia needed to reach the benchmark established by Ice Skating Australia during selected events over the past year. This wasn’t easy as she combined her Year 12 studies at Lake Tuggeranong College with up to nine training sessions a week. It paid off on both fronts. She secured enough marks to gain entry to study medicine in Newcastle while also qualifying to compete in international figure skating. Georgia says she is keen to continue with Miriam as her coach despite the obvious distance between Newcastle and Canberra. They just won’t be on the ice together nine times a week. In the short term, Miriam will be there in Germany guiding her through her first international competition. This is a fitting reward for two very dedicated skaters.